Delaware Emissions: Legislation was approved by the Transportation, Land Use and Infrastructure Committee to extend the emissions-inspection exemption for new cars from five to seven model years. Emissions inspections are required for vehicles being registered or titled for the first time and are then biennial based on the vehicle’s model year (during registration renewals). The bill has now been sent to the floor of the House of Representatives for a vote by all members. More than 115 SEMA members and staff gathered in the nation’s capital to participate in SEMA’s 2017 Washington Rally. Attendees joined in more than 80 meetings, where they reminded members of Congress of the cultural and economic importance of motorsports and the automotive specialty-equipment industry. We’ve all heard the saying, “If you want something done right, do it yourself.” While there’s a good bit of truth to it, representing the interests of the automotive specialty aftermarket is a team effort. SEMA members and staff work together to build relationships with lawmakers in Washington and across the country, amplifying the industry’s voice. California Labeling: A bill was approved by the Senate and referred to the Assembly to require cleaning-product manufacturers to disclose all ingredients and “contaminants of concern” on the product label and the manufacturer’s website. Alaska OHV Area: Legislation was introduced establishing the Jonesville Public Use Area to protect, maintain, perpetuate and enhance year-round public recreation. 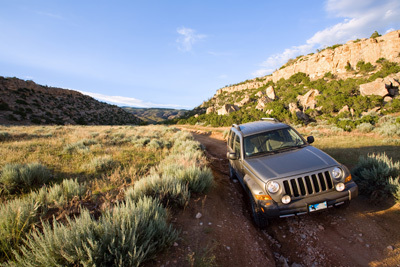 The bill would, among other things, provide opportunities for the public to enjoy the area through a full spectrum of public uses, including the maintenance and enhancement of off-road vehicle recreational opportunities. California OHV Programs: Legislation was approved by the Senate Natural Resources and Water Committee to allow funds collected for California’s Off Highway Motor Vehicle Recreation (OHMVR) program to be spent by other agencies on unrelated programs and never reimbursed. Arkansas Historic Vehicles: After an outpouring of opposition statewide, legislation to substantially increase the age requirement for vehicles eligible for registration as historic or special-interest vehicles was withdrawn by the sponsor. Under the bill, the age requirement would have been raised from 25 to at least 45 years old. The bill also would have required that a historic-vehicle owner have registered one or more vehicles used for daily transportation. The bill had been introduced and rushed through the committee process on a single day before being withdrawn from consideration on the House floor. Maryland Miles Traveled Tax: A bill has been introduced to prohibit the state or a local jurisdiction from imposing a vehicle miles-traveled tax or other similar fees, tolls or taxes. The measure would also prohibit the state or a local jurisdiction from requiring the installation of a device in or on a privately owned vehicle to facilitate the reporting of vehicle miles traveled. North Dakota OHV Permits: A bill was introduced to allow out-of-state off-highway vehicles that are exempt from a registration fee in the state to purchase a public trails and lands access permit. The cost of the permit would be $10 per year, and the permit would be displayed prominently on the off-highway vehicle. In North Dakota, off-highway vehicles exempt from registration fees include those validly licensed in another state and that have not been within the state for more than 30 consecutive days, those used exclusively on private lands, and those used exclusively in organized track racing events. 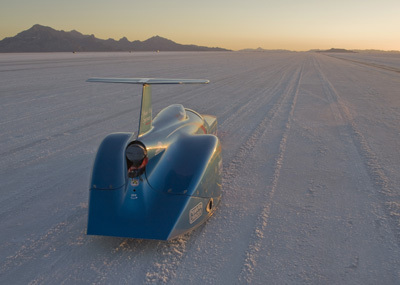 The Bonneville Salt Flats is a unique land formation in northwestern Utah that beckons visitors from around the world. For racers, its surface is unequaled. The hard salt crust is perfect for both speed and safety. But there is a problem. The once 13-mile racetrack is now less than eight miles long due to salt erosion.